Accessing the Technopôle Angus has never been easier! The site is easily accessible to workers, residents and visitors via the 25 Angus line, a dedicated bus route that connects the Technopôle to the green and orange STM metro lines. The site also boasts 2 bike paths, 2 BIXI stations, 2 car sharing services (Communauto and Car2Go) and 8 electric vehicle charging stations. The 25 Angus bus connects both the Préfontaine and Rosemont metro stations to the site in less than 15 minutes. Users can consult the STM.info website or app to create personalized itineraries. There are two bike paths that run through the site and two BIXI stations nearby. Indoor and outdoor bicycle parking is also available. The Technopôle Angus is accessible via the Car2Go and Communauto car-sharing services. It also has eight electric vehicle charging stations on site. There has been a real flurry of businesses and offices opening at the Technopôle. 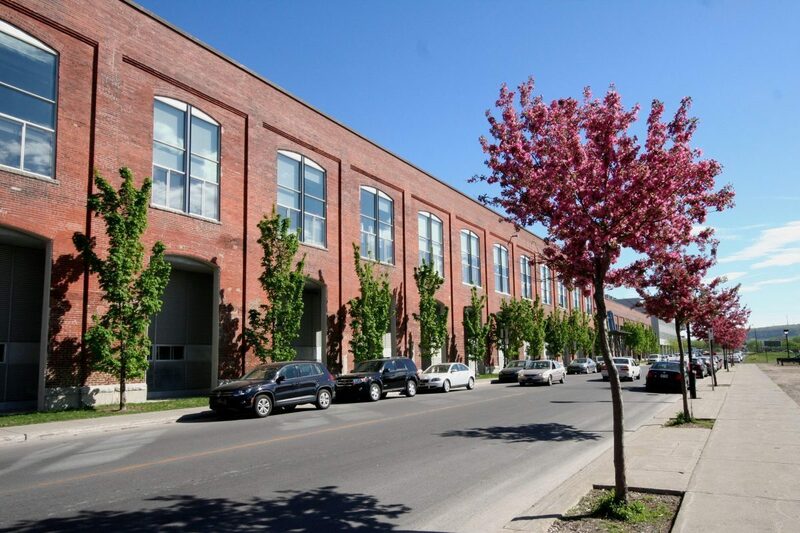 The space was transformed from an industrial park into a welcoming, avant-garde district and is known locally and across Canada and abroad for its vitality and innovative sustainable-development achievements.